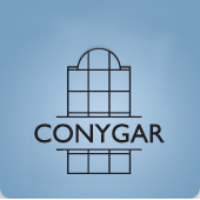 Conygar Investment Company (LON: CIC) has announced today that, in accordance with the terms of the general authority to make market purchases of its own shares granted to it by shareholders of the Company on 25 January 2018, the Company acquired 110,000 ordinary shares of 5 pence each in the capital of the Company on 9 November 2018 at a price of 169 pence per Share. The acquired shares will be held in treasury. Liberum Capital Limited completed the acquisition on the Company’s behalf pursuant to the share buy-back programme announced on 1 October 2018. In conformity with Disclosure and Transparency Rule 5.6.1A, Conygar Investment Company advises that, at the date of this announcement, the Company’s issued share capital comprises 58,386,435 Shares (excluding 1,375,000 Shares held as treasury shares). Therefore, the Company’s total number of Shares with voting rights is 58,386,435. The above figure of 58,386,435 may be used by shareholders as the denominator for the calculations by which they will determine if they are required to notify their interest in, or a change to their interest in, the Company under the FCA’s Disclosure and Transparency Rules.